Thurs.-Sat., April 25-May 11, 7:30 p.m.
Sir Robert Chiltern has had a successful political career, rising to the post of Undersecretary of Foreign Affairs. He also has a reputation as an honest and decent man. But then a woman appears at a party at his home and informs him she has something to discuss with him. The woman is a Mrs. Cheveley. What she wants is Sir Robert's support for a canal scheme in which she hopes the British government will invest. Sir Robert is not impressed with the scheme—but Mrs. Cheveley has an 18-year-old letter that provides evidence that in his youth, Sir Robert sold state secrets. This could destroy his career, but at least as important to Sir Robert is the fact that it could—in fact, almost certainly will—destroy his wife's faith in him. "Sooner or later," Wilde notes, "we shall all have to pay for what we do." But he adds that, "No one should be entirely judged by their past." An Ideal Husband was first produced in 1895, and together with The Importance of Being Earnest, is often considered Wilde's dramatic masterpiece. After Earnest, it is his most produced play. Oscar Wilde was born in Dublin in 1854. He studied in Dublin and at Oxford and became known as an advocate of the philosophy of aestheticism. He published poems and journalism before turning to writing for the stage. He wrote his first play, Salome, in French in Paris but it was not at first allowed to be produced in England. Four other plays—Lady Windermere's Fan, A Woman of No Importance, An Ideal Husband and The Importance of Being Earnest, were popular in England in the early 1890s. 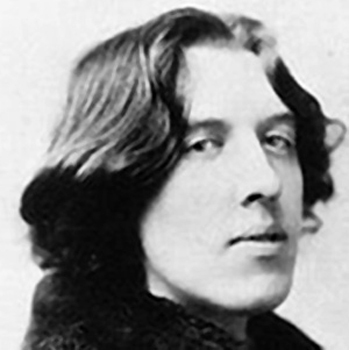 Wilde also published a novel, The Picture of Dorian Gray, and a number of stories and essays. He was jailed on charges of gross indecency from 1895 to 1897 because of his homosexuality. He died in Paris in 1900 at the age of 46. We would like to acknowledge that this production takes place on the traditional lands of the Haudenosaunee and Anishinaabe peoples. We honour and give thanks to the land, its inhabitants and their enduring cultures. Admission $20 (plus Grand Theatre surcharge). 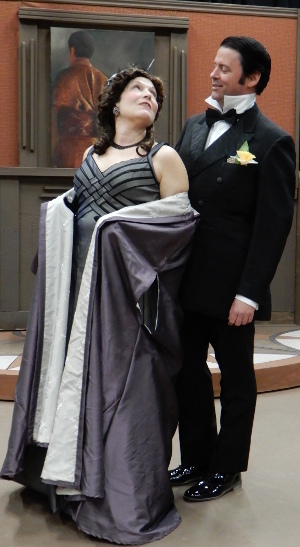 Tickets available through the Grand Theatre Box Office, 530-2050 and online, until 2 p.m. on day of performance, and at the door (cash, debit, Visa, MasterCard, Apple Pay or Android Pay) on performance nights when available. Seniors and members $16 at the door on Thursdays only. Children and students $10.